After the success of the Samsung Galaxy J7 Pro is now re-present the latest J Series, the successor of the J7 Pro. Samsung Galaxy J8 first appeared in India in May 2018. This smartphone features a 6.0-inch screen that has a resolution of 720 x 1480 pixels. Galaxy J8 comes in Black, Gold and Blue, and weighs 191 grams. This phone measures 159.2 x 75.7 x 8.2 mm, which makes it easy to put in any pocket. Samsung Galaxy J8 has a main Camera of 16 MP (f / 1.7) 5 MP (f / 1.9) and the second camera has 16 MP. In addition, touch focus, geo-tagging, face detection, panorama, and HDR make mobile image quality even better. The Galaxy J8 comes with 4GB of RAM and has an internal storage of 64 GB, which can be further expanded up to 256 GB. 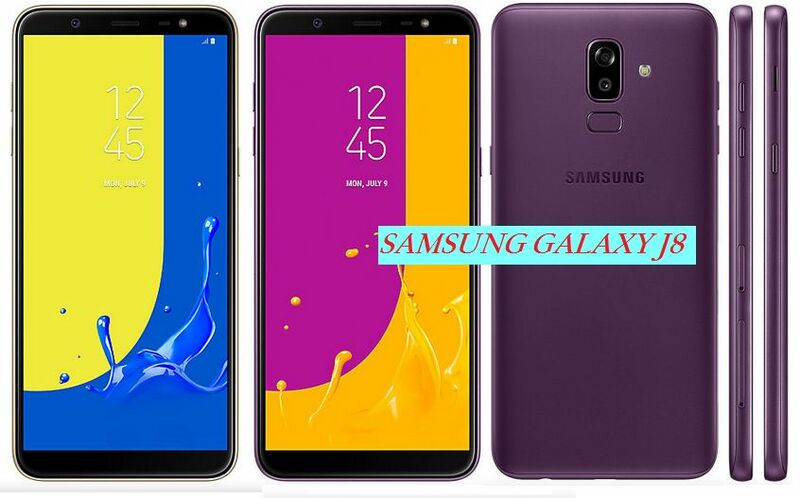 Galaxy J8 battery capacity is a non-removable Li-Ion 3500 mAh guaranteeing the longevity of Dual SIM phones Samsung Galaxy J8. The handset has an Android operating system 8.0 (Oreo), Qualcomm SDM450 Snapdragon 450 chipset, Octa-core 1.8 GHz Cortex-A53 CPU and Adreno 506 GPU. For the best photos, this smartphone has a main camera of 16 MP (f / 1.7) 5 MP (f / 1.9) with autofocus and LED flash, and a secondary 16 MP camera.